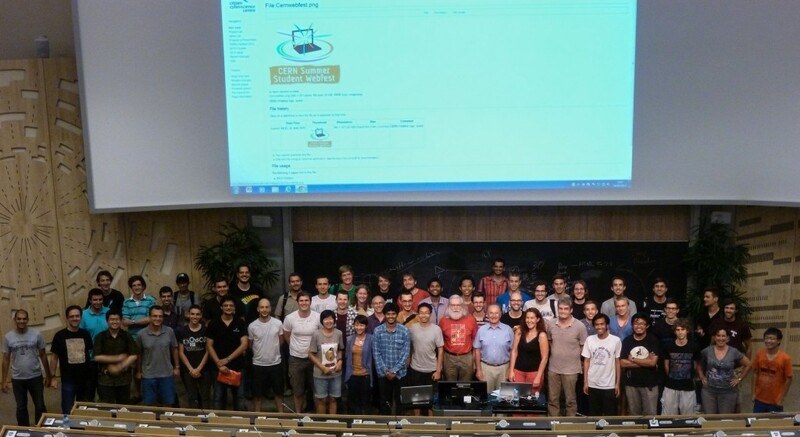 The Summer Student Webfest 2013 was held at CERN during the first weekend of August. 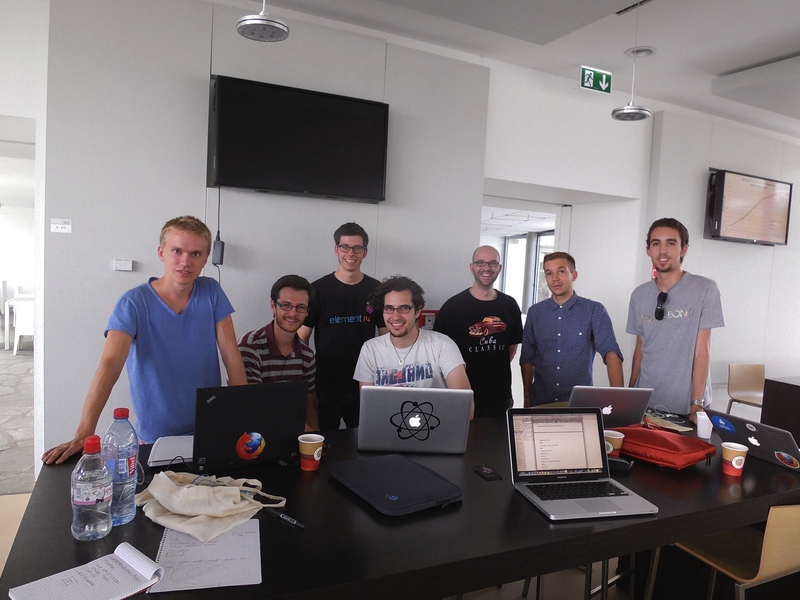 The objective of the weekend was for student web enthusiasts to work together in teams to design web-based applications that will encourage the public to learn more about science, and in particular CERN, the LHC and particle physics. The Webfest is modelled on events called hackfests which bring together computer aficionados for intense periods of web-based creativity that energize many open source communities. The opening session saw fifteen brave souls pitch their ideas to an auditorium full of eager students. The ideas included games, volunteer computing projects, educational tools and open source platforms. Twelve of the pitches found sufficient support to proceed and the competition commenced. To be successful each project required a range of skills including coding expertise, graphical design, writing skills and physics knowledge. It was only those teams that could combine their skills and work together effectively that would succeed in creating engaging applications. Webfest participants with John Ellis (front row with red t-shirt). Many of the students worked almost solidly through the weekend, only taking breaks to top up their mugs of coffee or to attend some of the workshops which were interspersed throughout the event. The workshops provided introductions to various online tools including the citizen science site crowdcrafting.org. Sunday afternoon arrived as all twelve teams rushed to prepare slides for their presentations at the judging session. On the judging panel was John Ellis, an eminent CERN-based particle physicist – so nerves were jangling. After the unveiling of twelve innovative entries, the creators of ‘Mother-hunting’, a game in which a fundamental particle explores CERN to try to trace its family history, were crowned winners. Along the way the particle meets famous physicists – including John Ellis – who give it clues to its origin and the ‘mother-particles’ from which it decayed. The Webfest is a testament to what can be achieved with enthusiasm, creativity, teamwork and caffeine. The teams produced twelve sophisticated scientific applications which have undoubtedly enriched the online scientific environment. The Crowdcrafting.org antimatter application team.